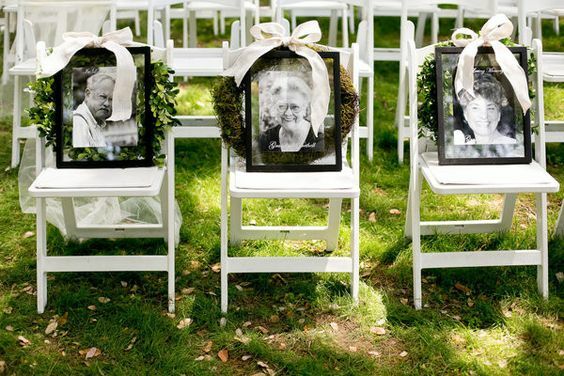 As you know, in Panateneas we have very present to our deceased. 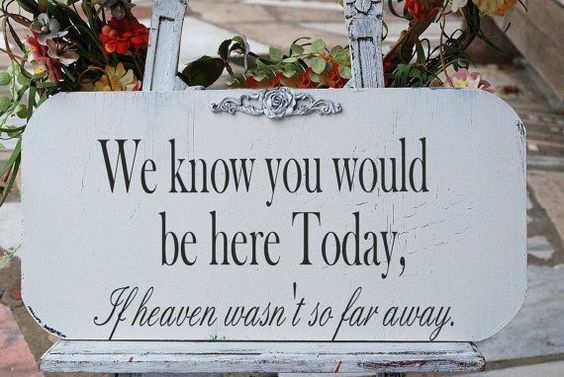 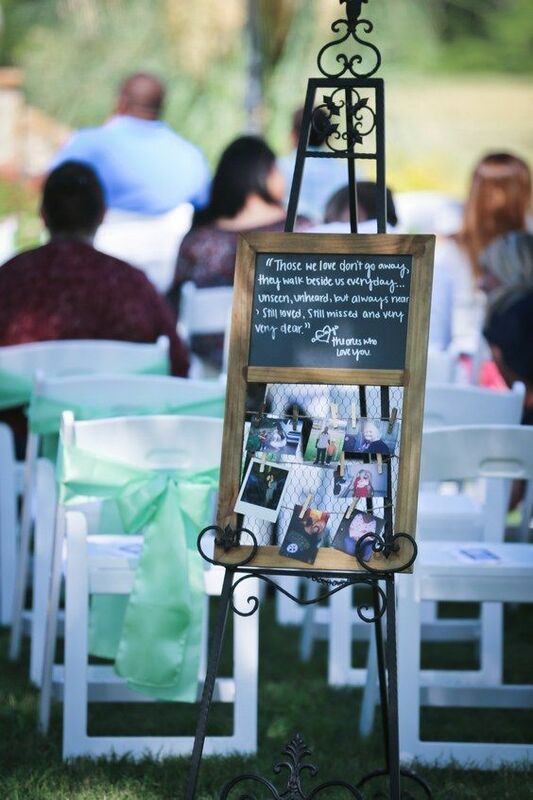 That is why we always encourage our couples to share in their celebration those loved ones who are no longer there. 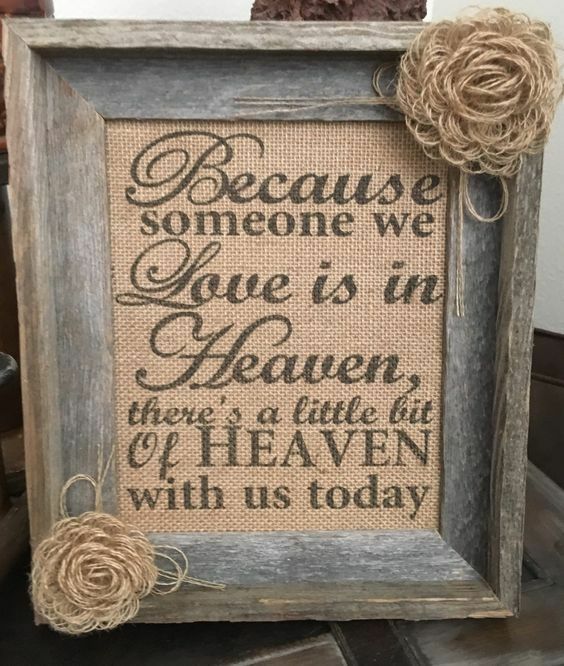 There are many ways to make that those people we love so much are present in some way. 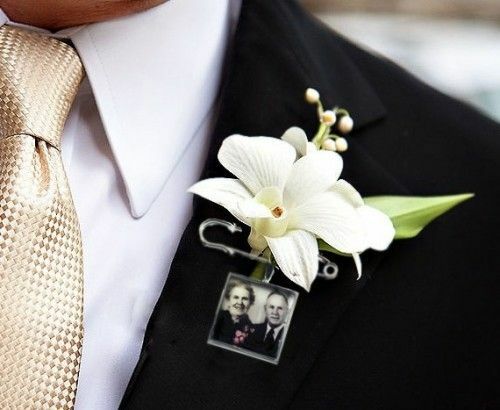 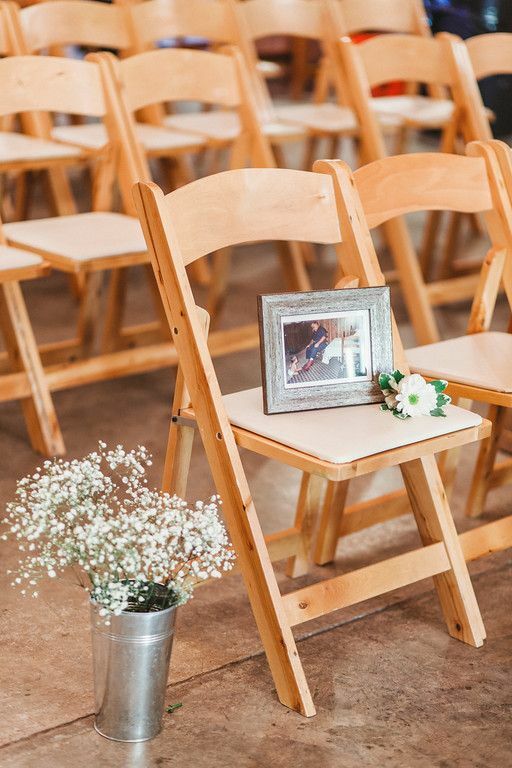 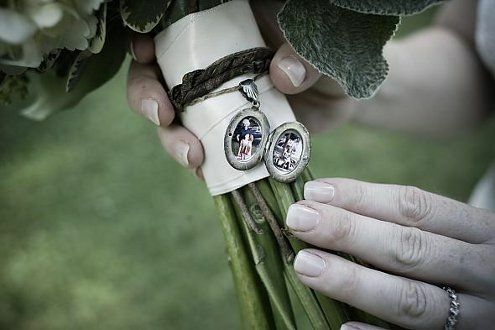 With a few words in his memory, leaving the bouquet or flowers in his grave, wearing a locket hanging with his photo or using that day something that belonged to him or her as a ring, a watch or even her wedding dress. 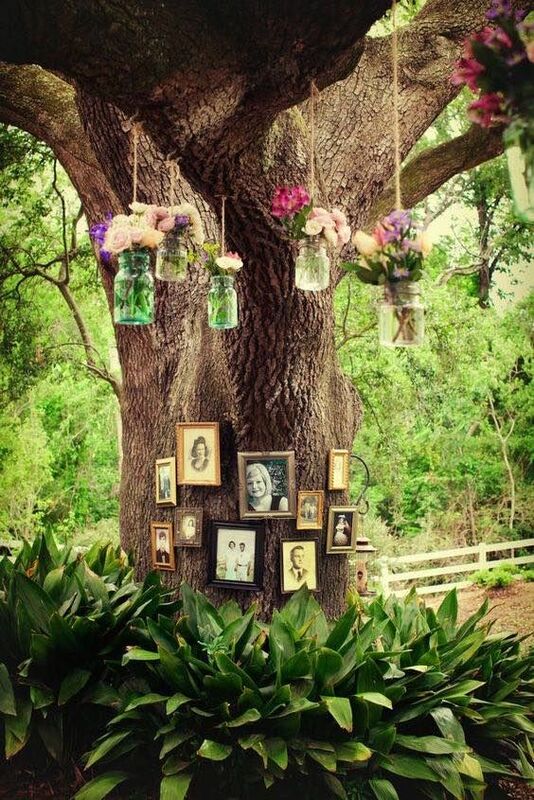 It is also very nice to create small corners with candles and photos in honor of those who are not physically but that surely accompany you from where they are. 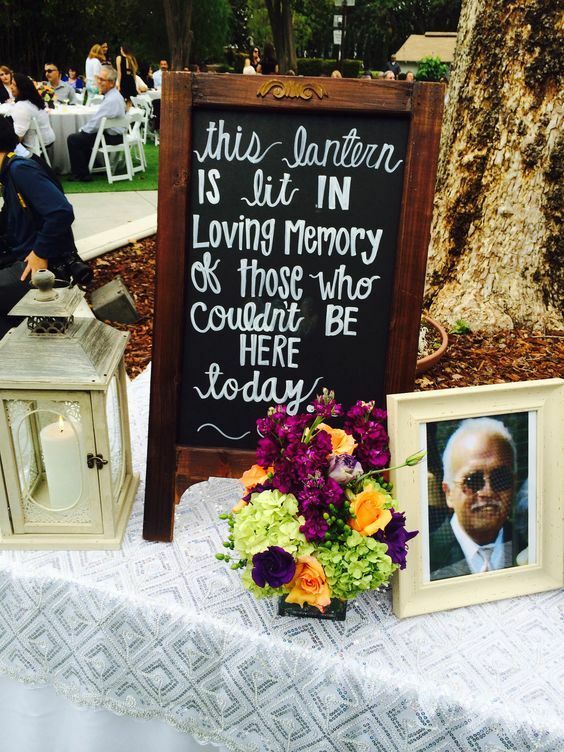 Because nobody dies at all while others remember him. 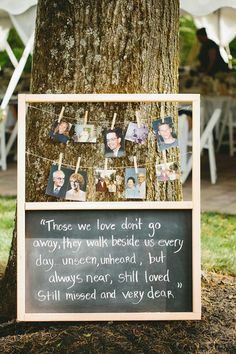 Here are some ideas on how to make them present in your day.